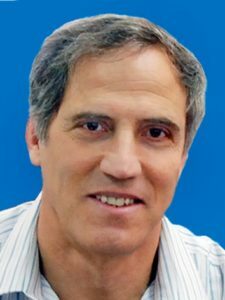 Abraham J. Domb is a Professor for Medicinal Chemistry and Biopolymers at the School of Pharmacy- Faculty of Medicine of the Hebrew University of Jerusalem. He earned Bachelors degrees in Chemistry, Pharmaceutics and Law studies and PhD degree in Chemistry from The Hebrew University of Jerusalem. He did his postdoctoral training at MIT and Harvard Univ. Cambridge USA and was R&D manager at Nova Pharm. Co. Baltimore US during 1988-1991. Since 1991 he is a faculty member at the Hebrew university, full Prof. since 1999. During 2007-2012 he headed the Division of Forensic Science at the Israel Police. In 2014 he was appointed President of the Jerusalem College of Engineering (JCE).